Thanksgiving is a day for family, friends, and yes—indulgence. But that doesn’t mean that every dish needs to be full of butter and cream to be delicious. These lighter-than-average Thanksgiving sides make delicious additions to your table, and are less caloric to boot. Start the night off right with these beautiful sweet potato rounds topped with ricotta, cranberry and walnuts. 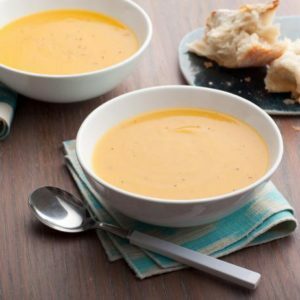 Cream free and decadently rich, this butternut squash soup makes a perfect starter or accompaniment to the turkey sandwiches the day after. 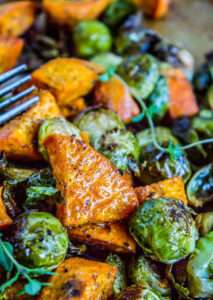 Roasted sweet potatoes and brussels are a go-to side any night of the week, but we love them on Thanksgiving too. Lemon maple squash wedges are beautiful plated next to roast turkey. Savory parsnips add fiber and flavor to mashed potatoes. 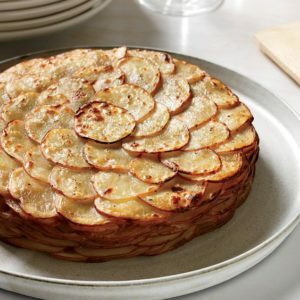 This beautiful potato gratin is creamy but uses no cream at all. 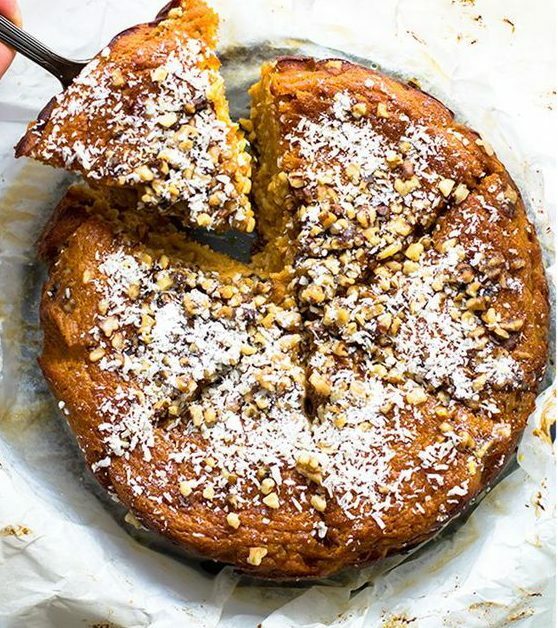 Paleo sweet potato pie goes on the dinner and the dessert table. 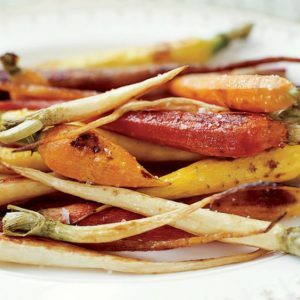 These tricolor roasted carrots are one of our all-time favorite sides. 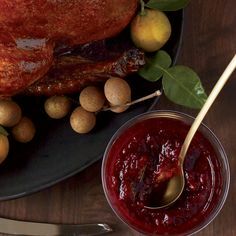 Cranberry, ginger and orange chutney is a perfect addition to traditional cranberry sauce. Powerful antioxidant tumeric adds a kick to this beautifully roasted delicata squash. These bacon-wrapped green beans are as pretty as they are delicious.